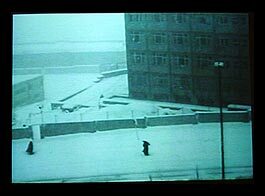 35 mm film, sound (no dialog), 9 min. 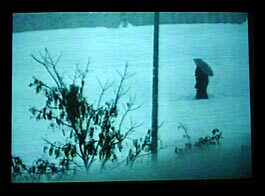 From his apartment window, Samadian filmed a woman with an umbrella and how she fought her way through the snowstorm to wait for a bus at the busstop. 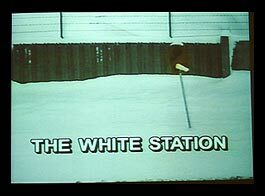 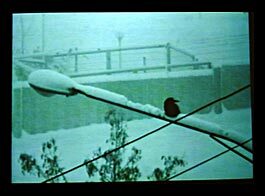 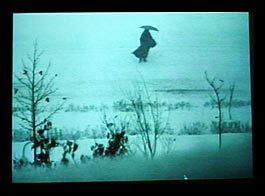 The only sounds in the 9-minute film are the whistling of the wind, the cawing of the crows, and the snow-muffled sounds of the city.